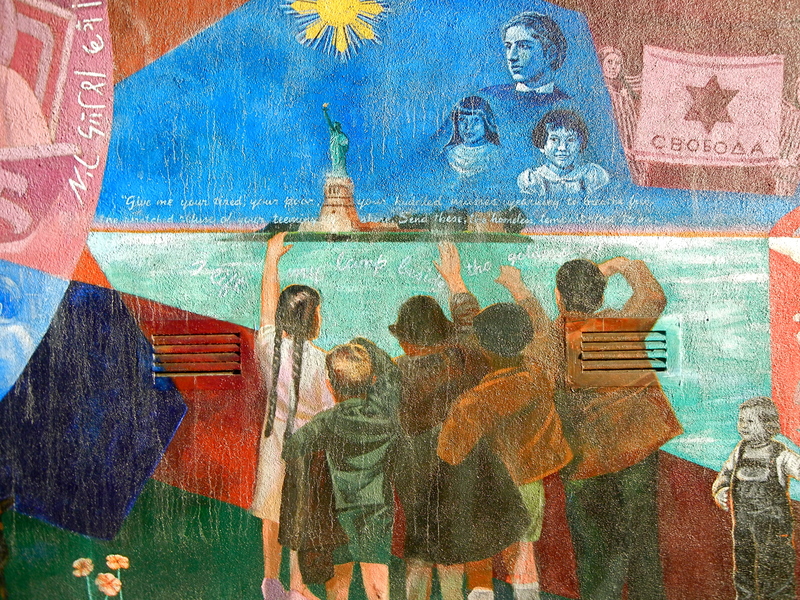 Artist, Eliseo Silva, writes in his Artist Statement, “I am a weaver of history and heritage.” While Silva is from the Philippines, his mural adaptation of Jewish heritage is thorough. 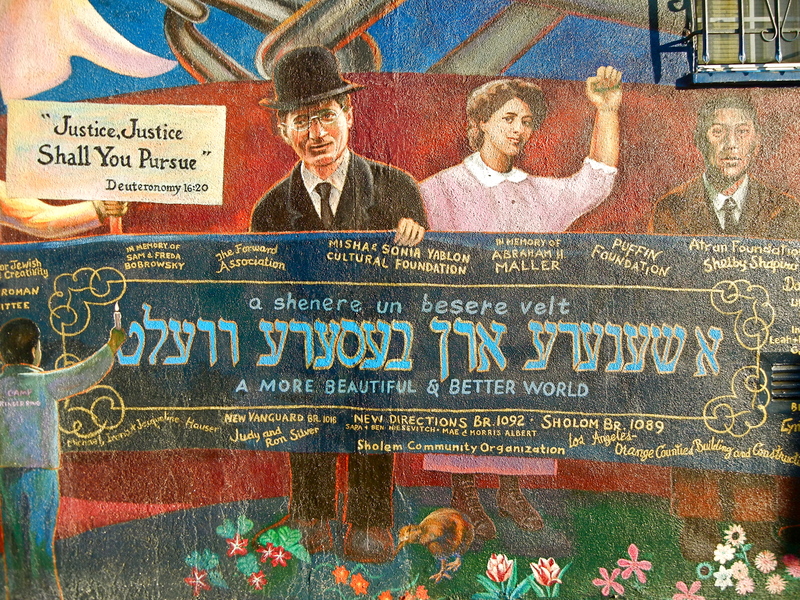 The mural is entitled, “A shenere un besere velt,” which translates into “A more beautiful and better world.” It was commissioned by the Workman’s Circle, an organization celebrating Eastern European Jewry. 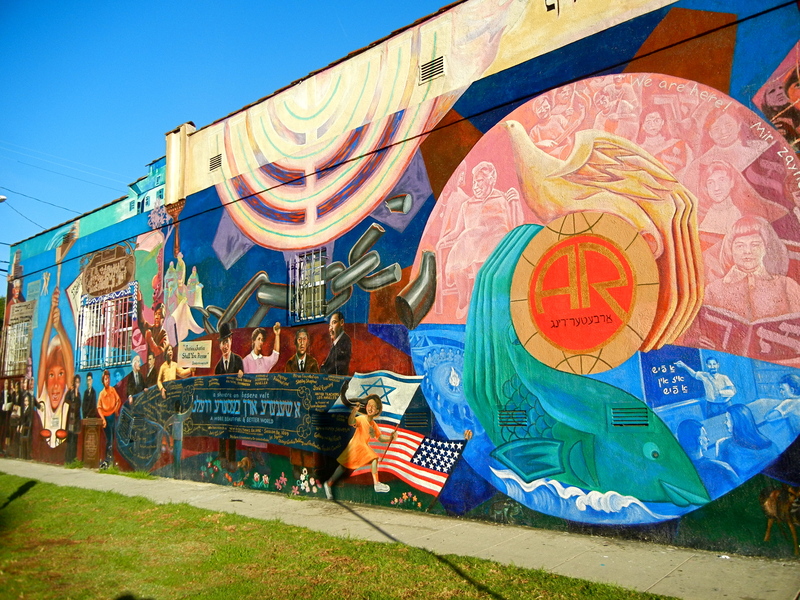 The mural commemorates great authors like Sholem Aleichem, Mendele, and Peretz, as well as events like Jewish migration to America and the Freedom Campaign for Soviet Jews. 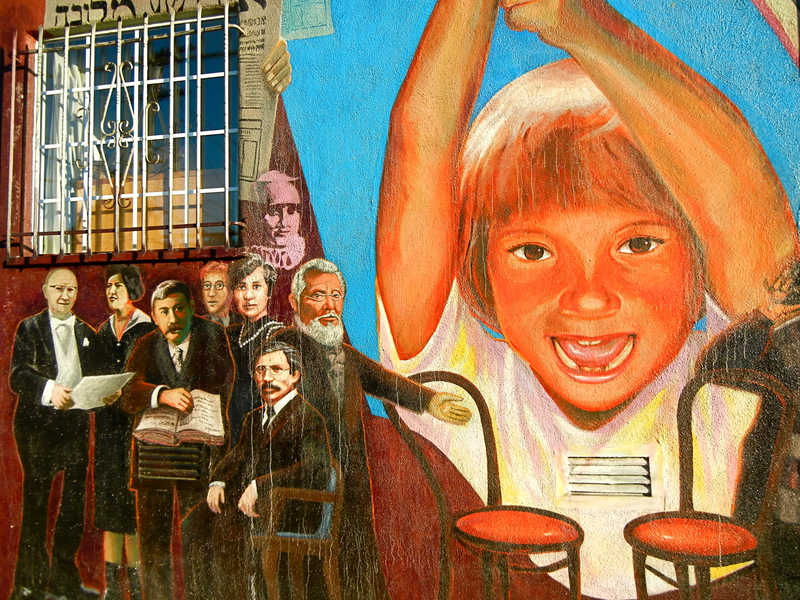 The mural was painted in 1998 and is located at the corner of Robertson Blvd. and Horner St.